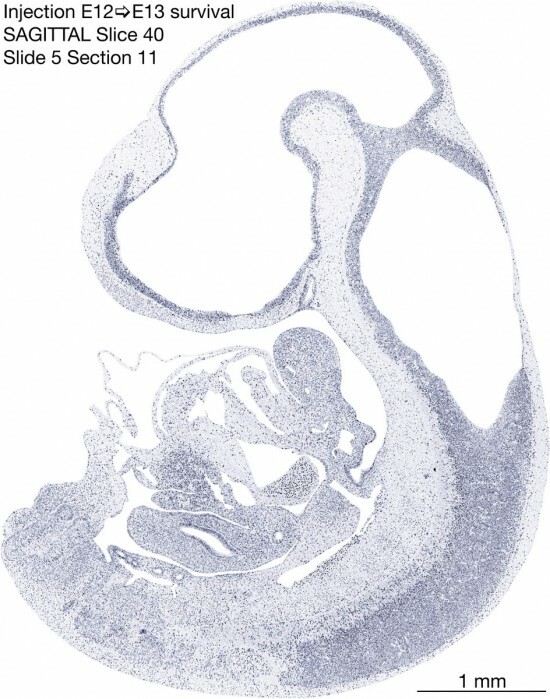 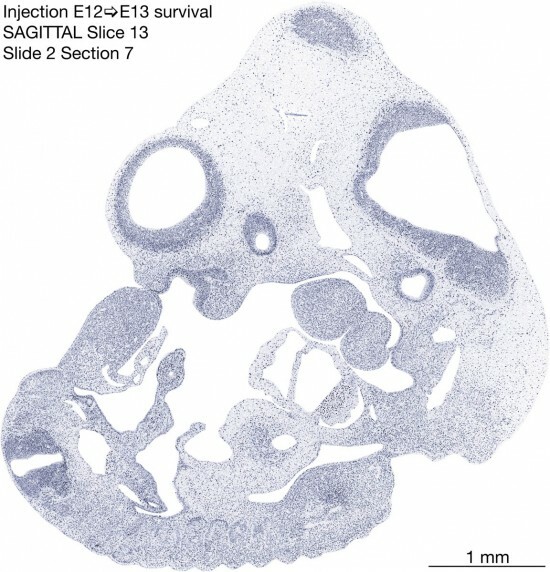 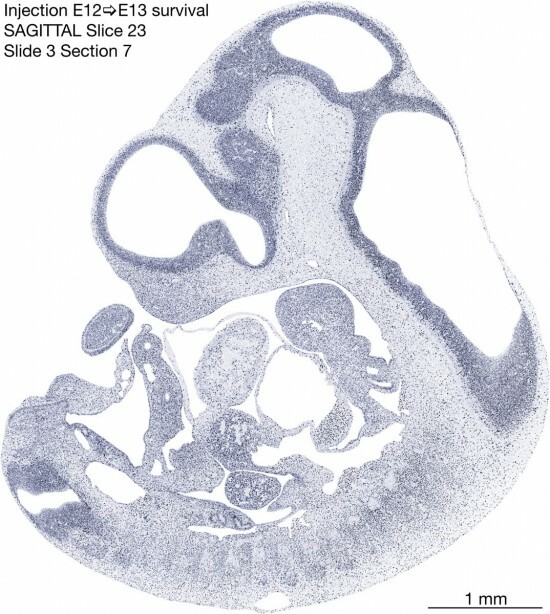 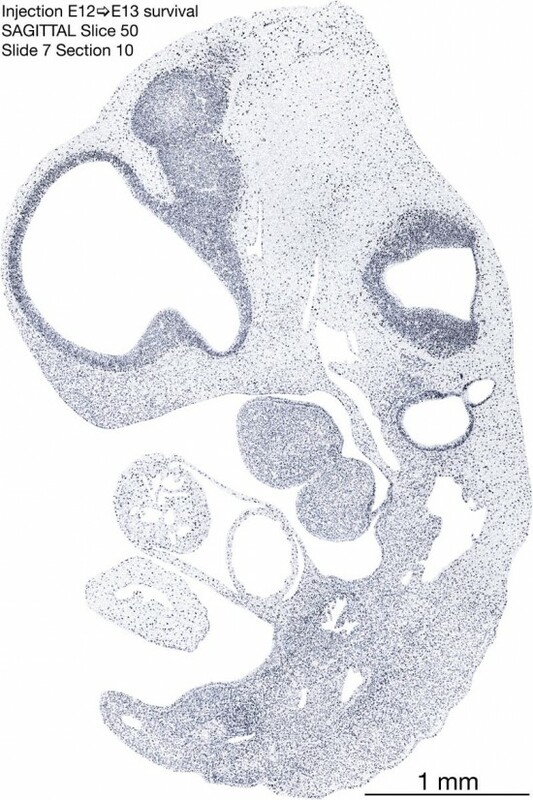 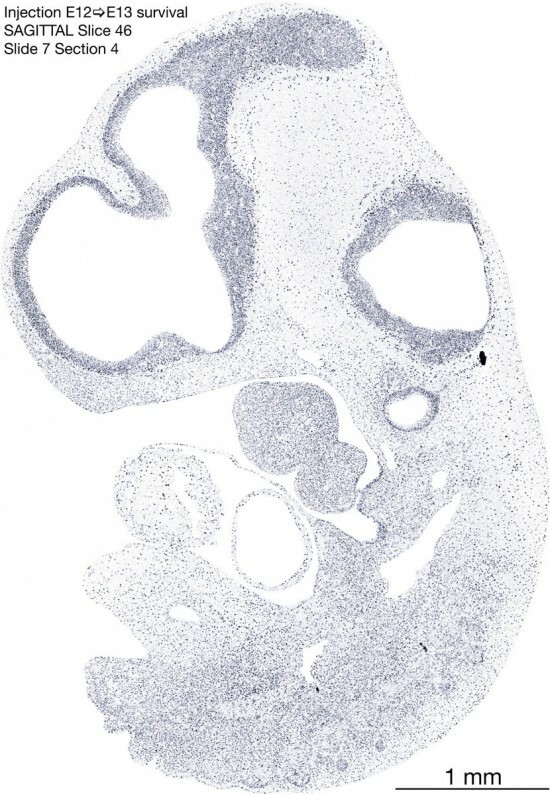 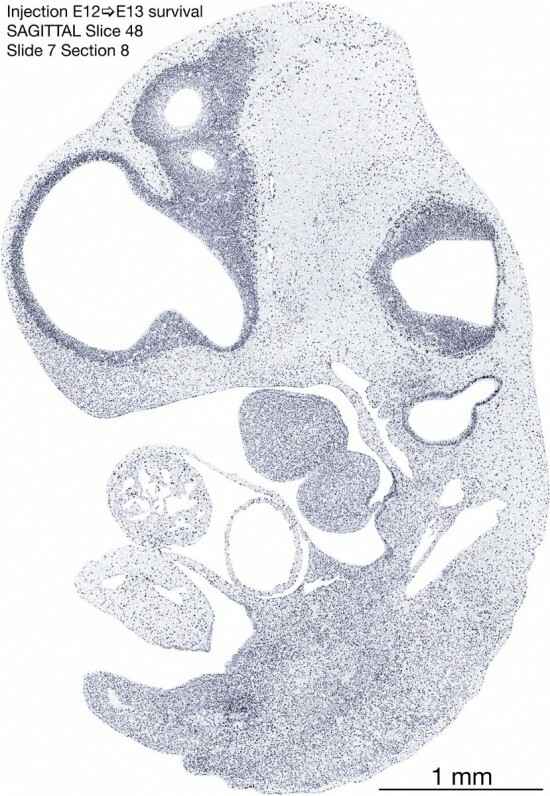 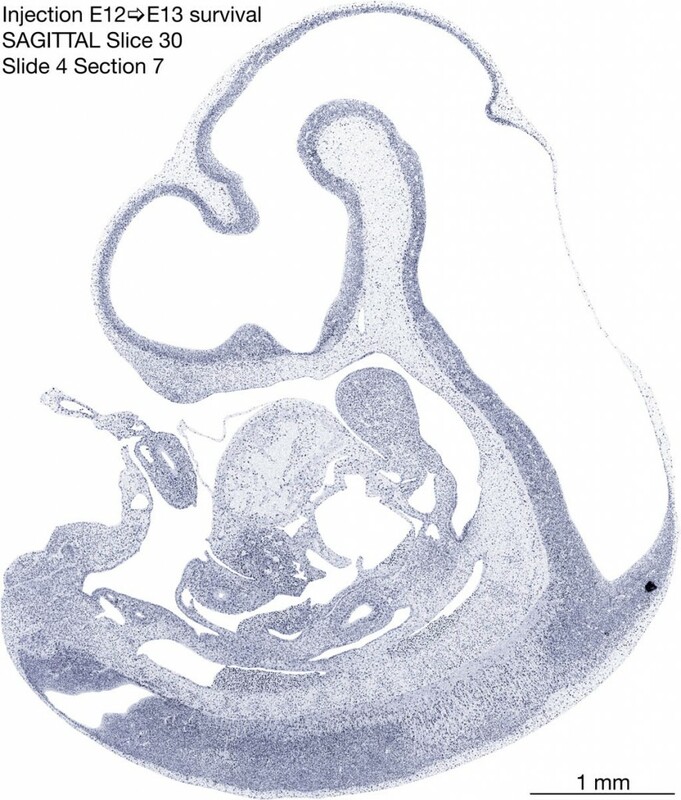 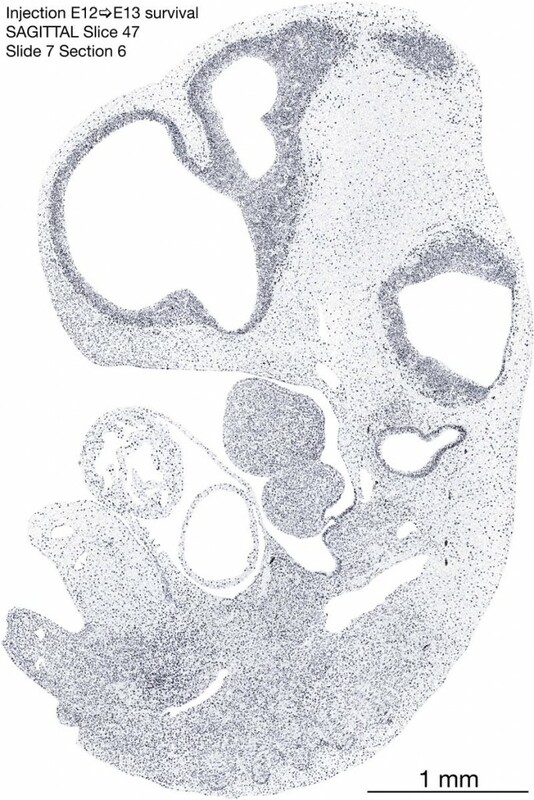 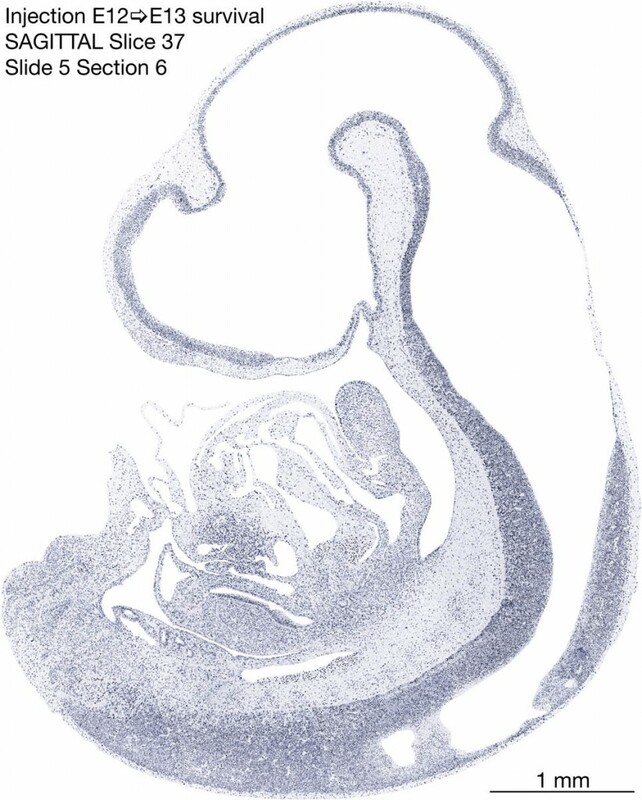 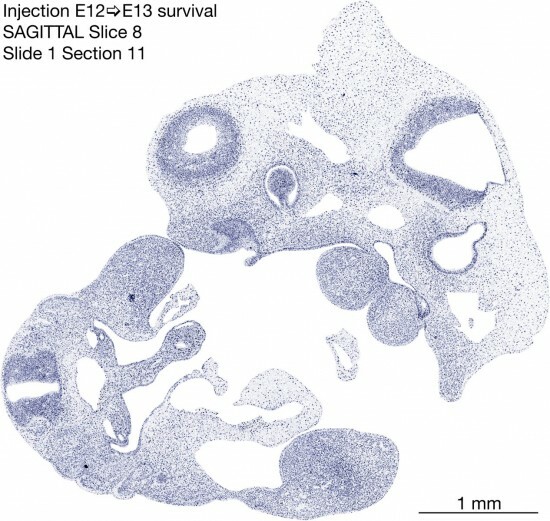 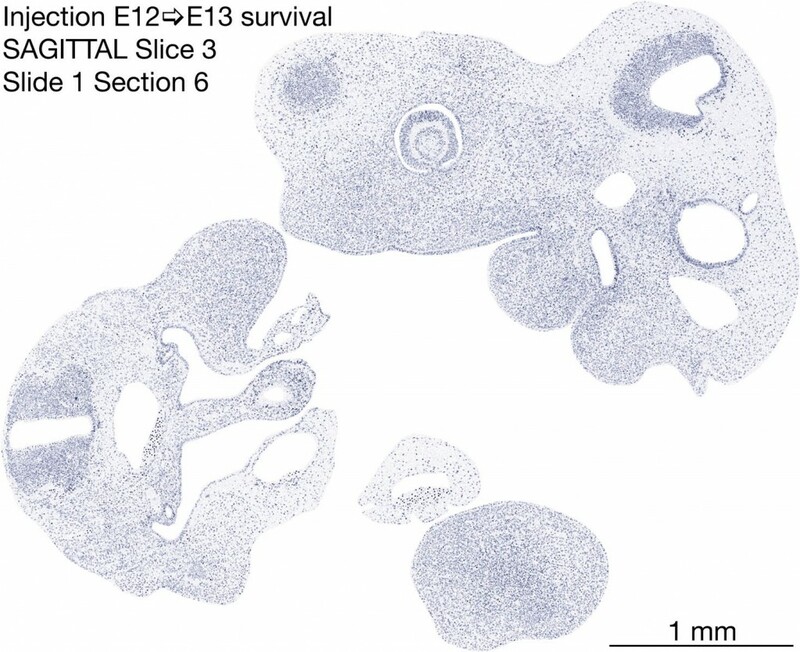 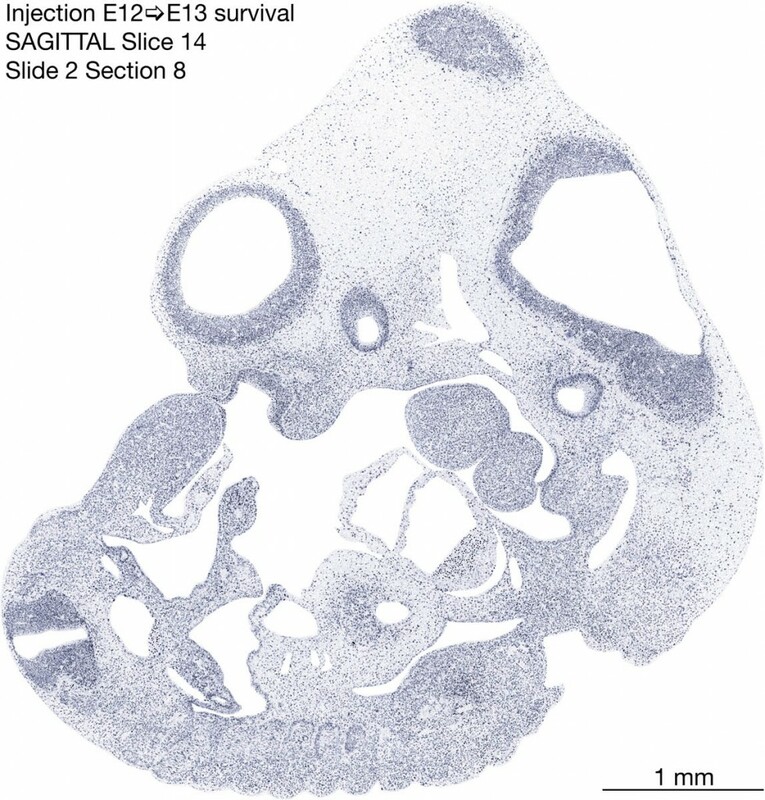 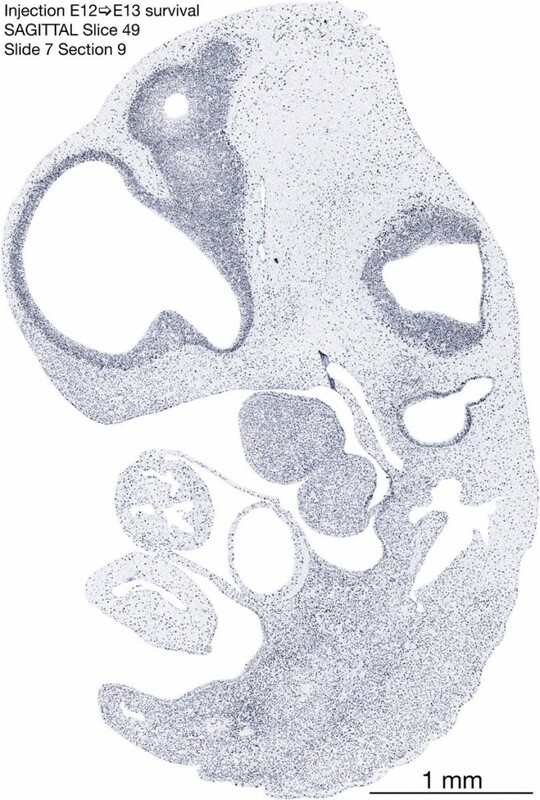 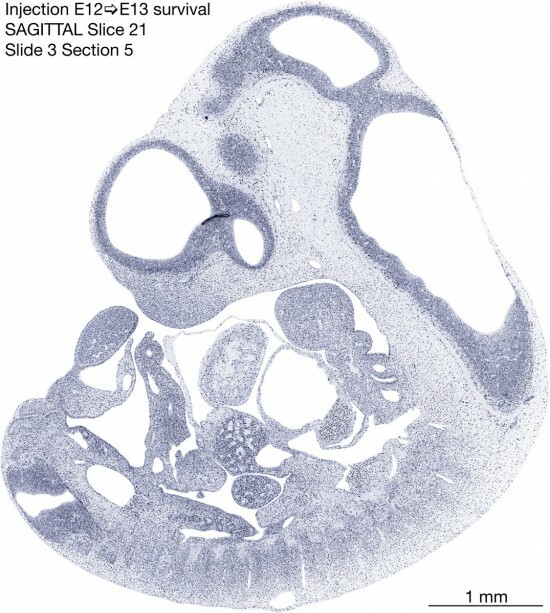 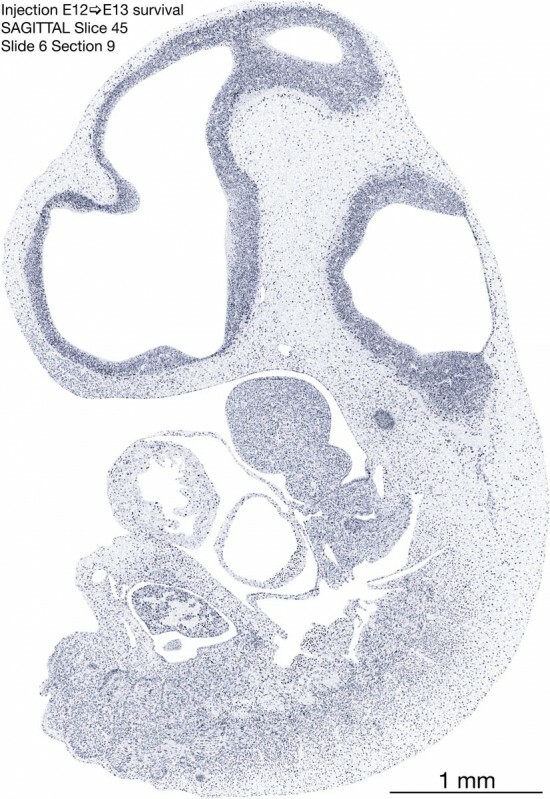 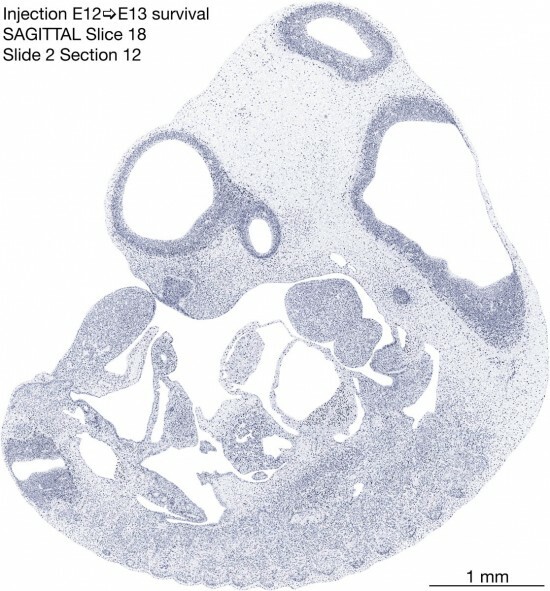 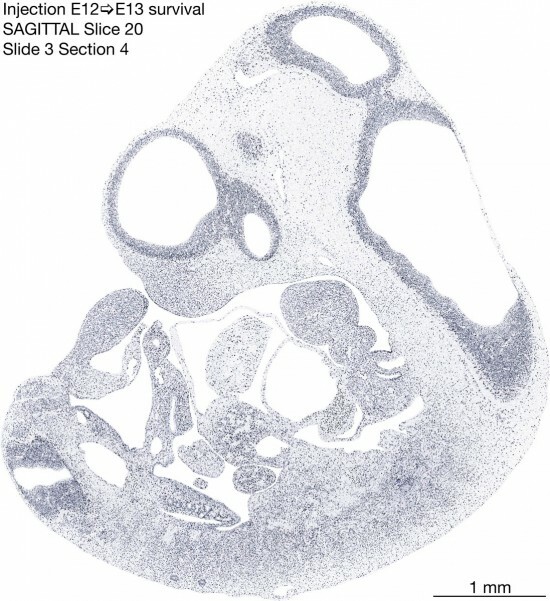 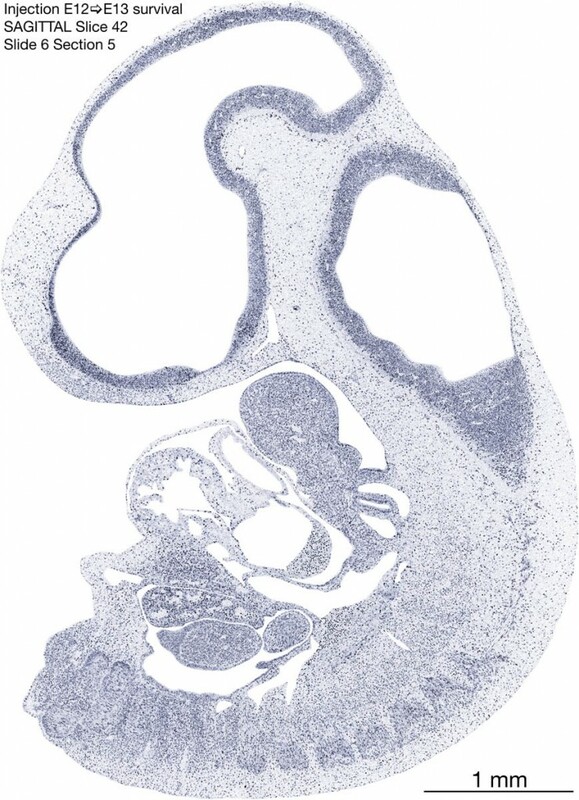 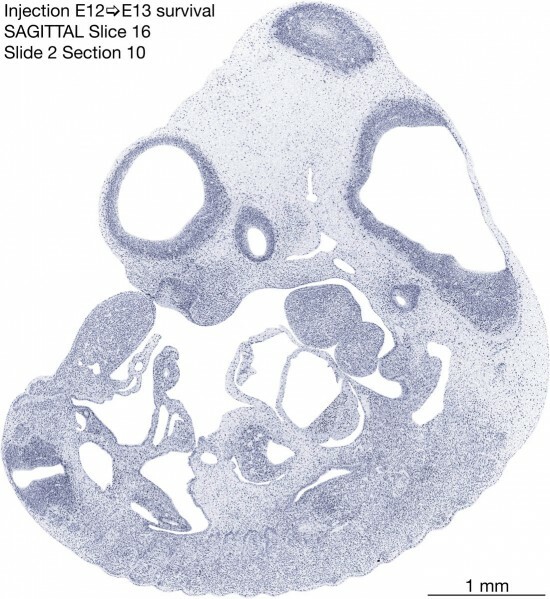 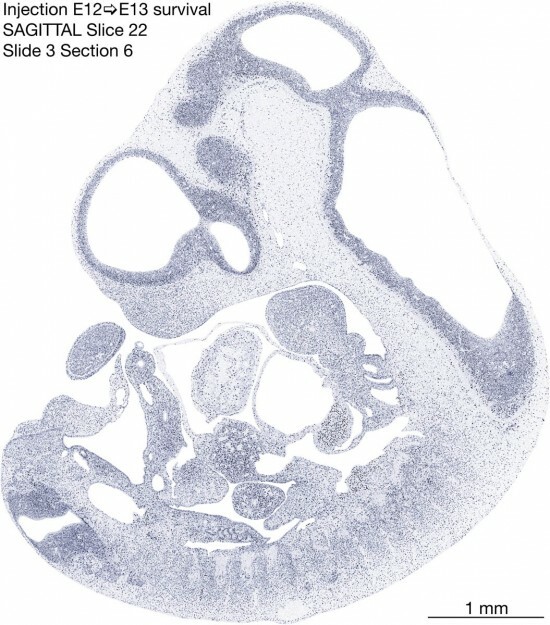 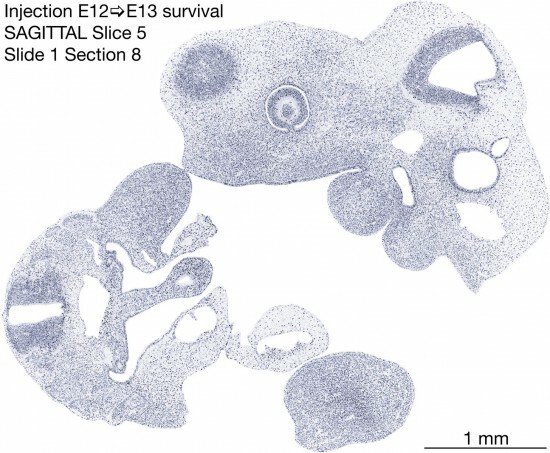 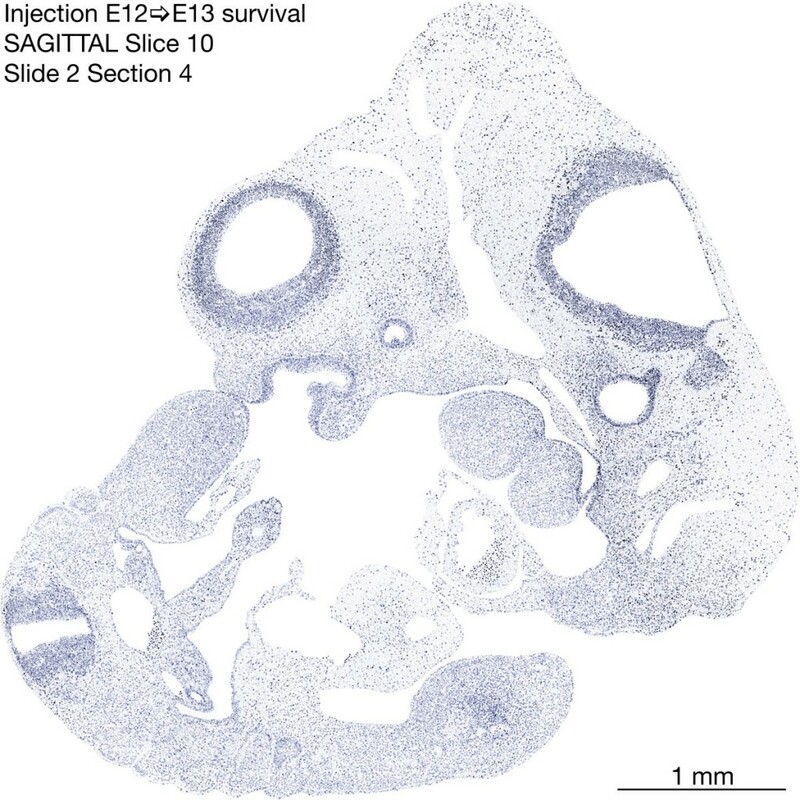 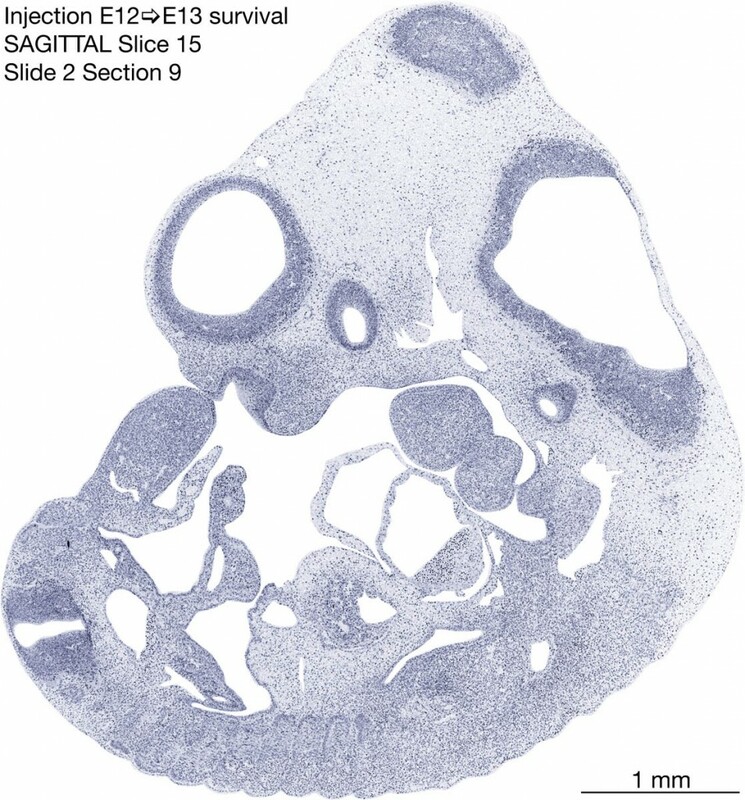 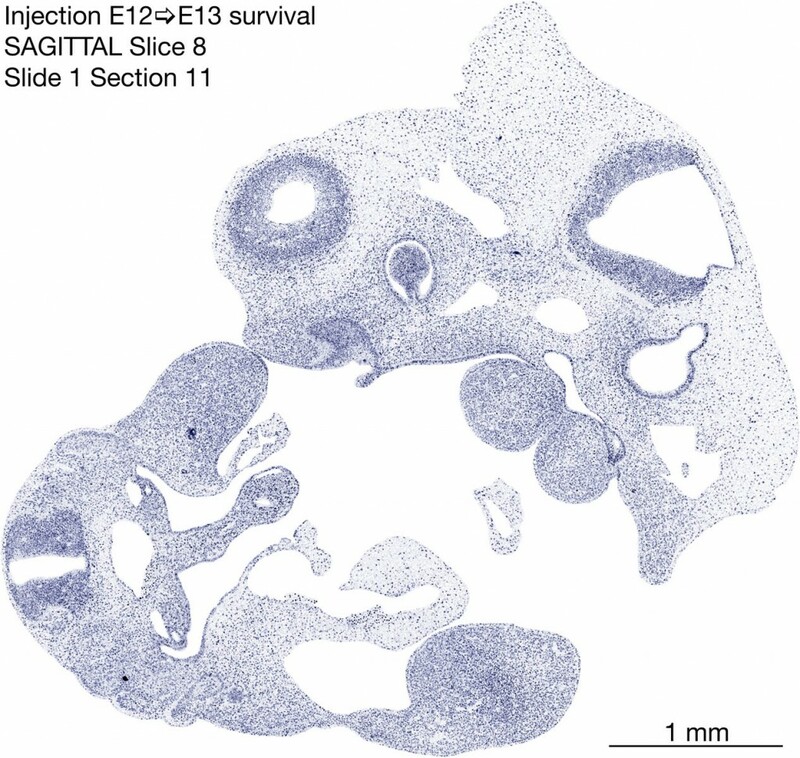 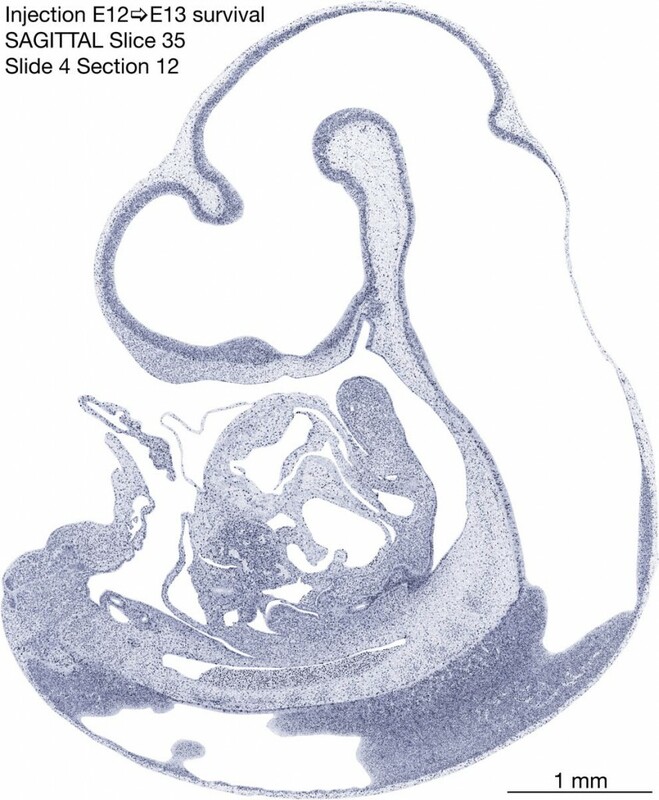 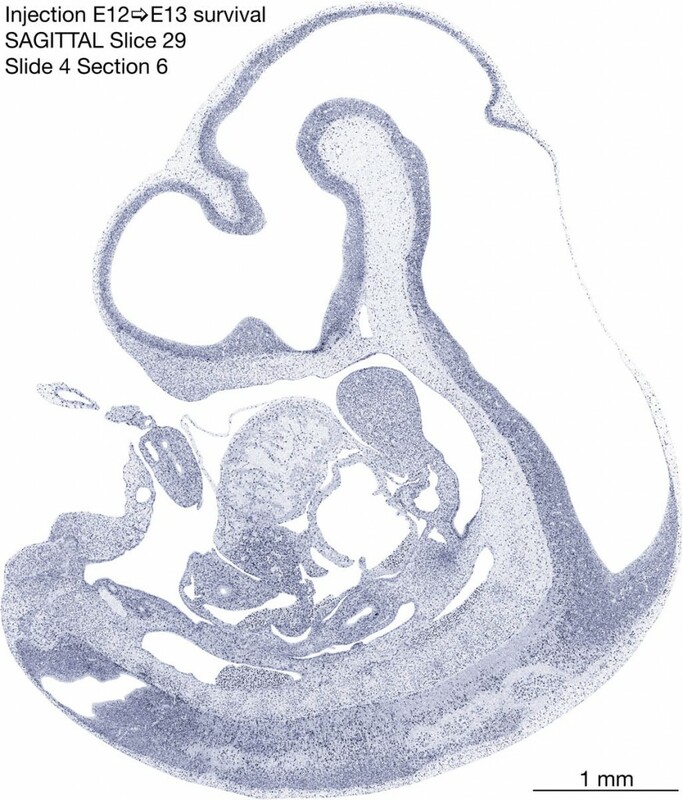 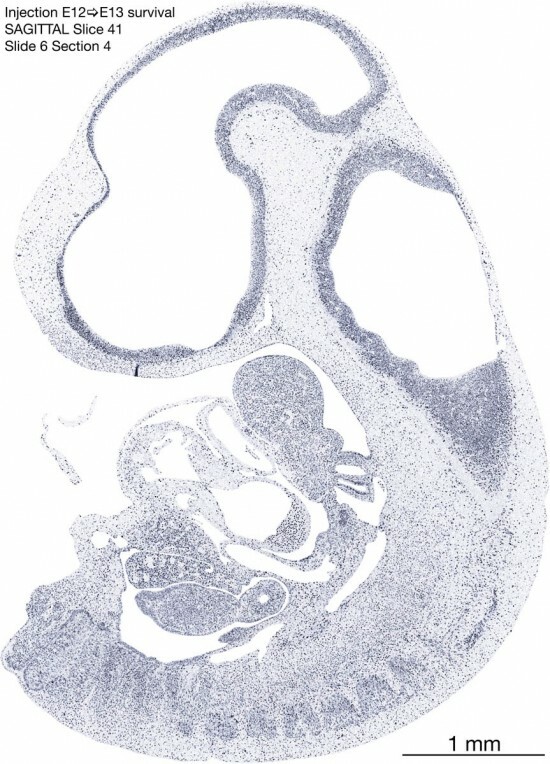 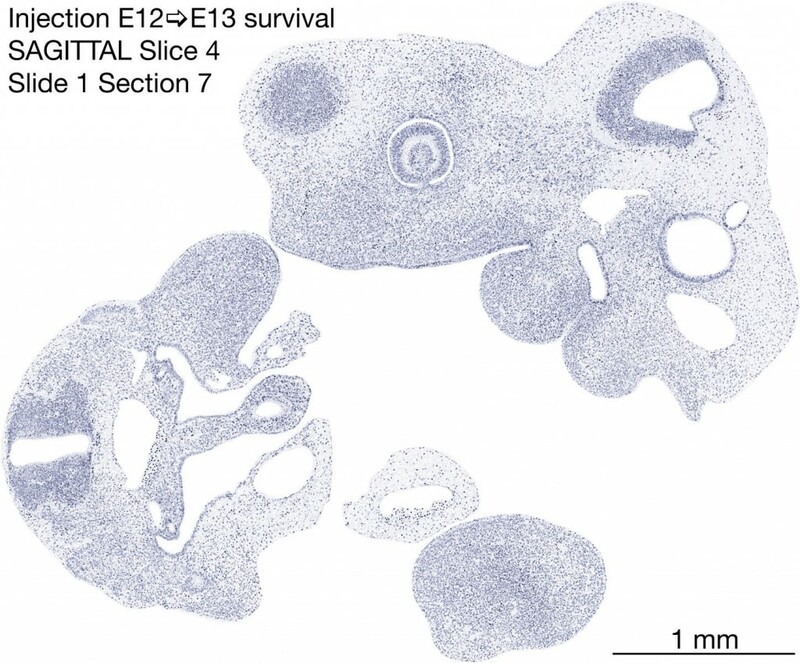 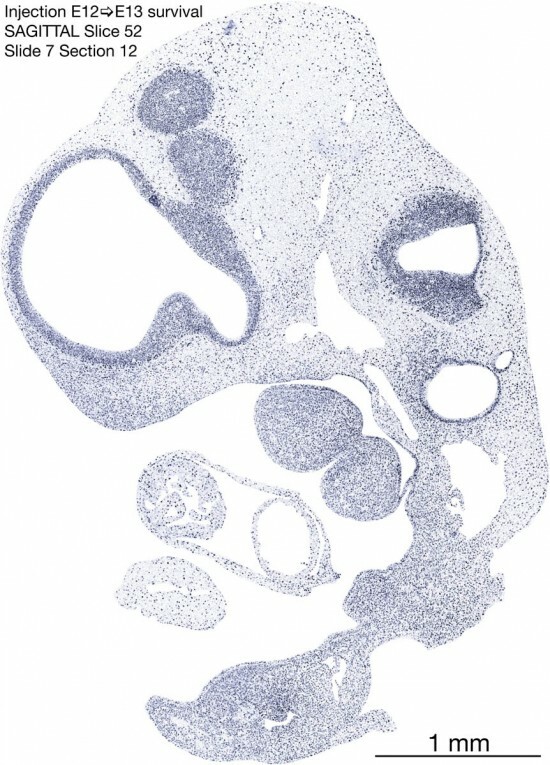 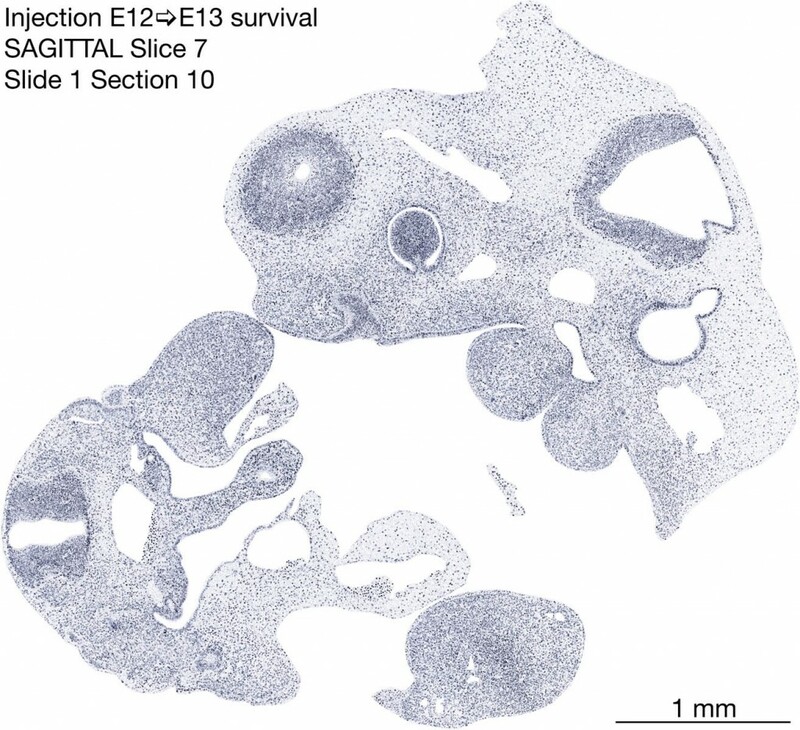 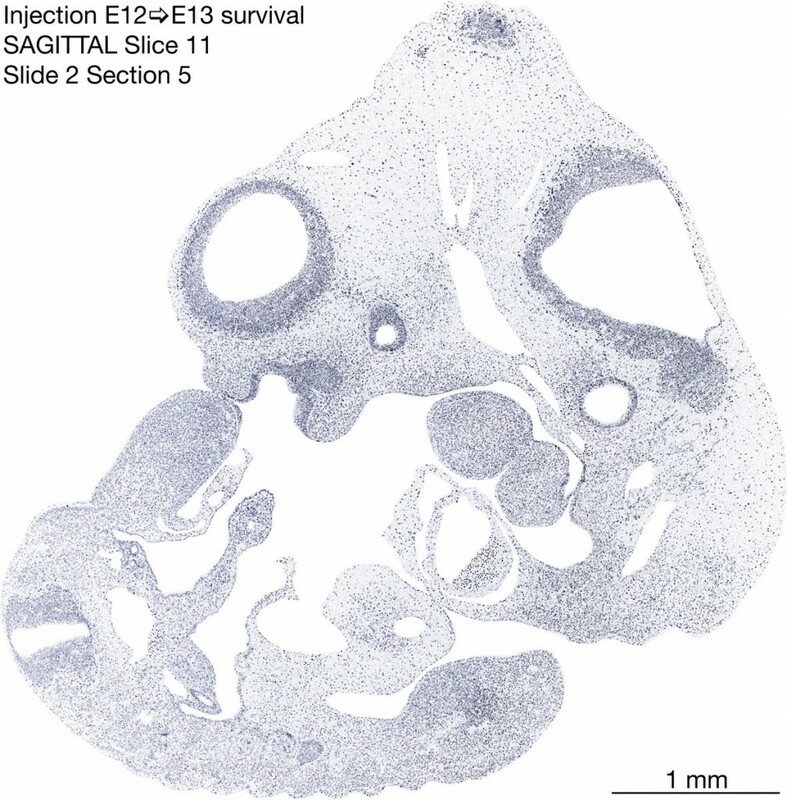 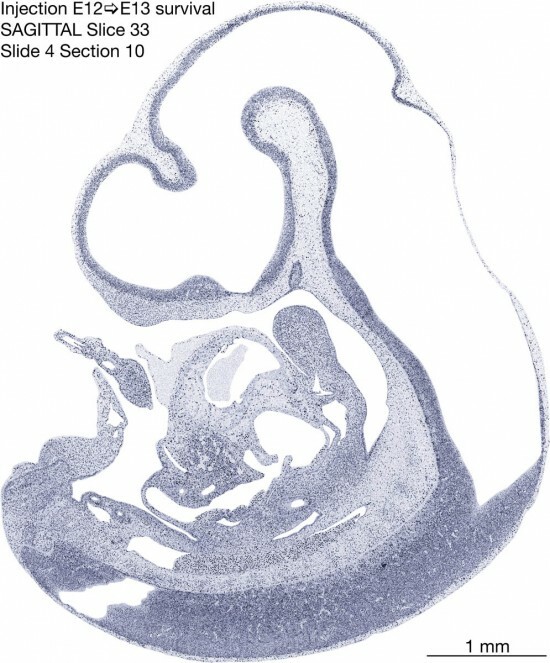 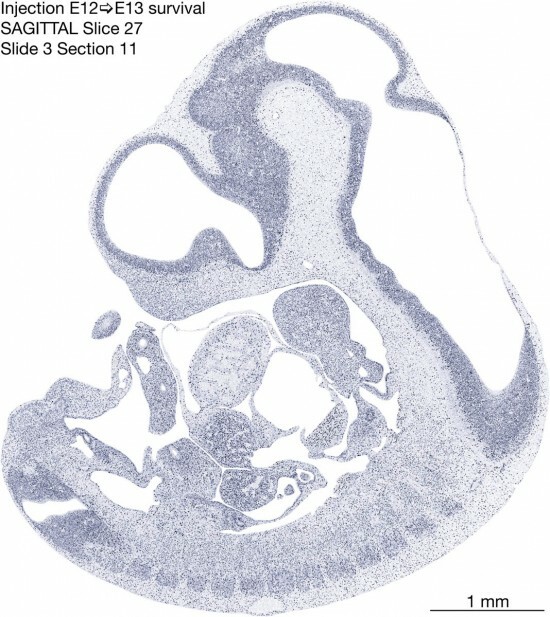 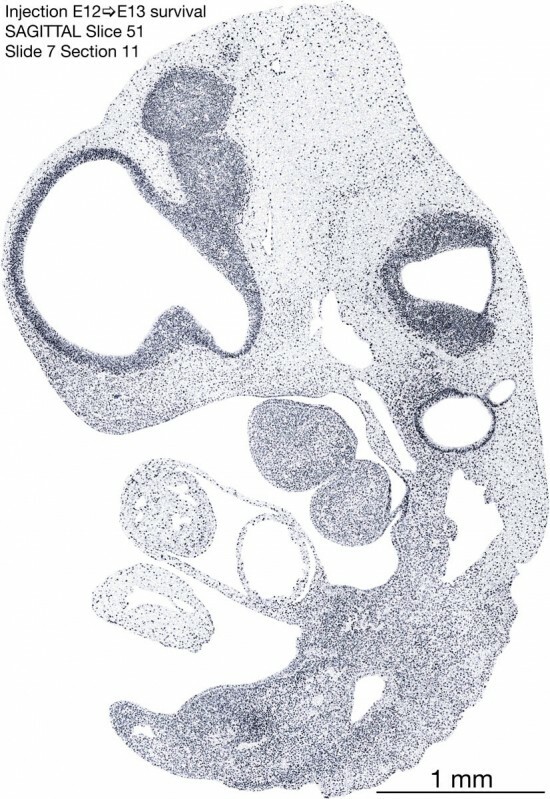 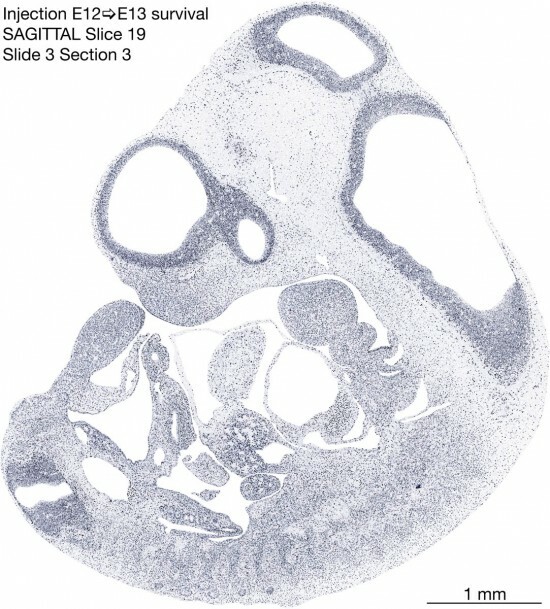 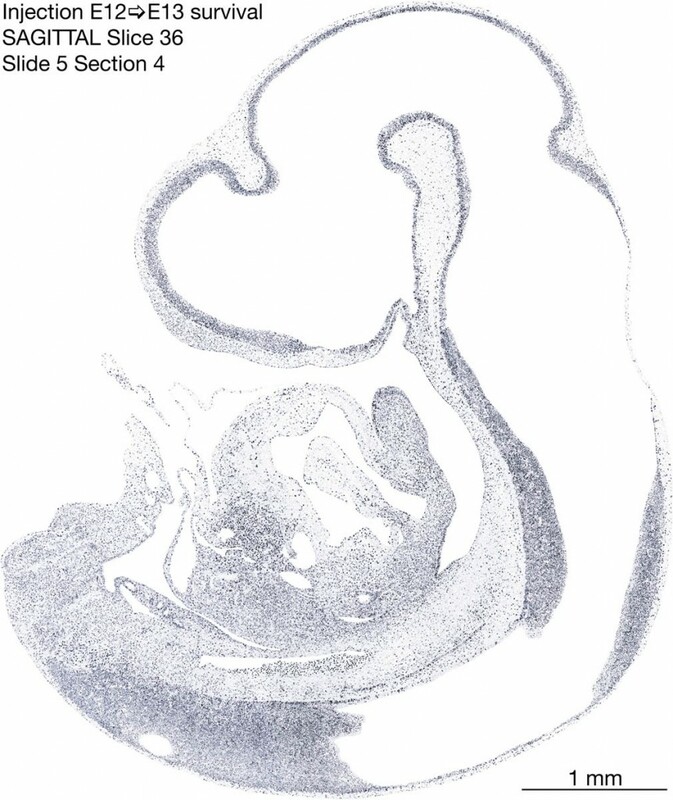 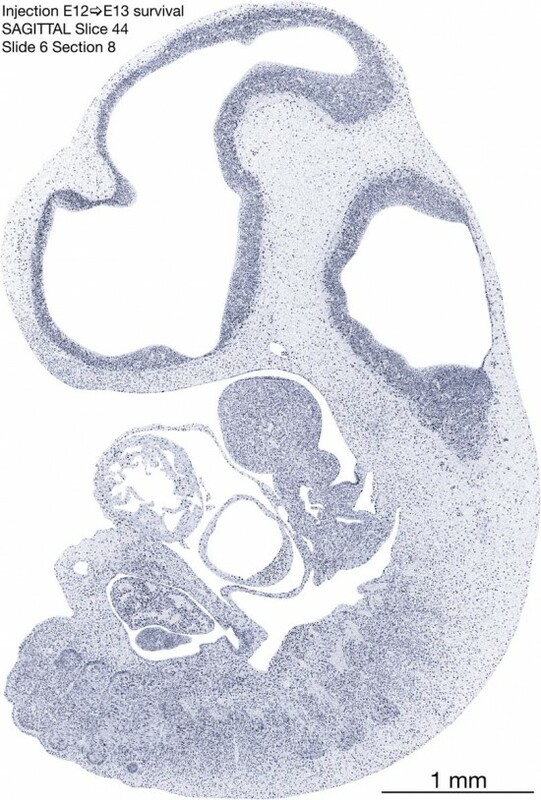 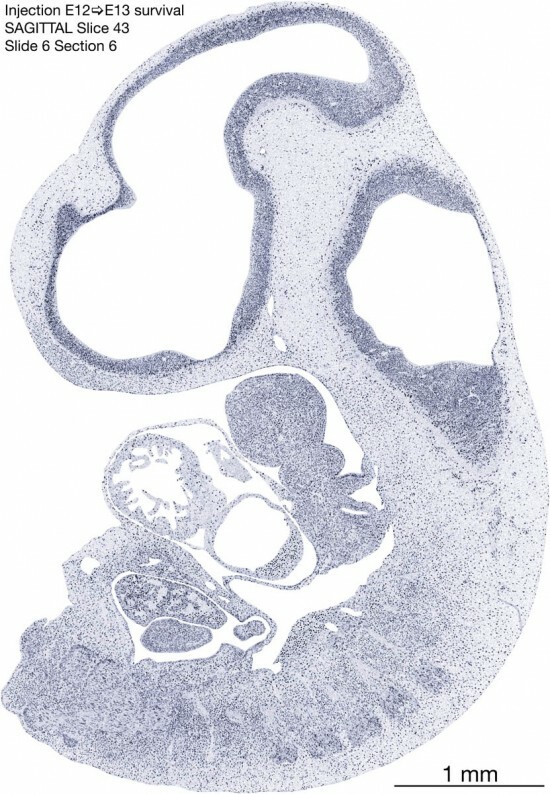 The following images are from a sagittally-sectioned specimen of an E13 rat embryo exposed to tritiated thymidine on E12–24 hr survival. 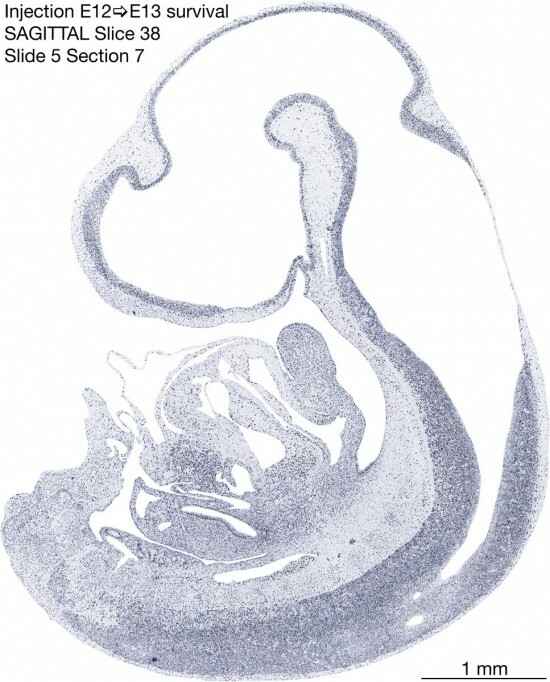 This embryo was embedded in methacrylate. 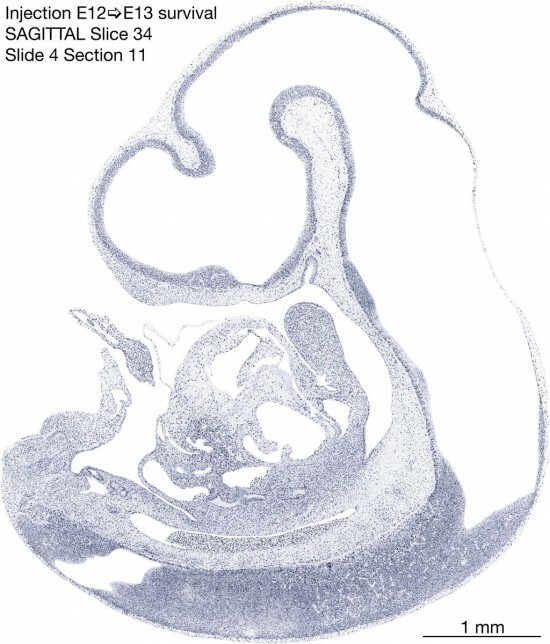 Note the heavily-labeled cells just outside the germinal zones in the brain and spinal cord. Methacrylate causes excess background noise, but the heavily-labeled migrating cells still stand out. Many of these cells are postmitotic young neurons.